In GPS Navigation, thou shalt not trust. Over lunch today, me and a friend were discussing how to take our third friend to the train station instead of letting him take a taxi as he planned. When you are relaxed and have basically nothing on your mind, even the smallest of problems seems worthy of discussion in the united nation’s security council. Since none of the three of us knew exactly where the station was, we discussed our options. 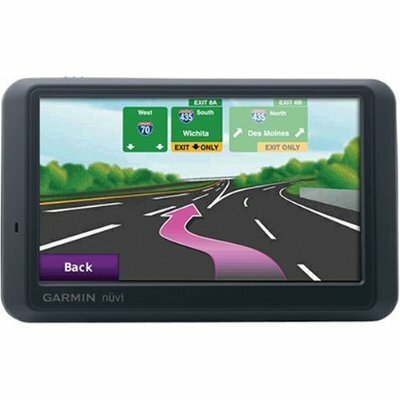 I was basically pro technology and said I’ll just look it up in my trusty garmin navigation, it never had let me down. My friend, who is the driver btw, doesn’t trust technology and said we should just ask for directions from the reception at the hotel since he doesn’t like or trust technology. Then he said we should just jump into the taxi with him them go back to the hotel to avoid the headache. I looked up the station on my garmin screen and showed it to the reception lady, since there were many stations, who confirmed that it is the station we want. We were kind of late so I go out to our designated driver who went out to start the car and I was blocked at the hotel door with a couple of guys clearly in disagreement over something. They stopped me and ask a travel related religious question solely based on my appearance. I hate when that happen but ironically I did know the answer to their question and basically told them they were both right. I finally make my way out of the door to see our designated driver arguing with a couple of police officers over the parking ticket they gave him inside the parking lot of the hotel. They told him he can pay it right now in cash, he basically refused and said I will give it to the hotel it is their problem not mine. Anyway, he drives and I navigate and all of the sudden the “smart lane assist” equipped navigation wants us to drive right into incoming traffic. Luckily, there was a police car at the instruction, so our driver friend falls back to his original plan “ask for directions”. He parks and asks the cops who were very nice and gave him detailed directions. We drive to the train station which was like only a kilometer away from our hotel. It took us 10 minutes by car because of the roads layout but we could have walked there much faster. Moral of the story, technology complicates life. Should get a more reliable gps navigation system.